There is an ongoing crisis in the European Court of Human Rights (ECtHR) regarding the relations between Russia and Strasbourg. In 2015, The Russian Constitutional Court decided that the implementation of judgments of the ECtHR concerning Russia will not be automatic; such judgments must conform to the Russian constitution. In these instances, Russia has claimed sort of ‘right of veto’ over judgments of the ECtHR, alike in the UN Security Council. There have already been a few cases in which the Russian Constitutional Court has established non-conformity. However, it is very doubtful whether the European Convention system allows such a constitutional ‘veto right’. What if every Council of Europe (CoE) member state would claim such a right to veto over judgments issued from Strasbourg? The UK has its own political debate about the European Court of Human Rights (ECtHR) as does Russia – although for different reasons – which ratified the European Convention on Human Rights (ECHR) in 1998. What if every Council of Europe (CoE) member state would claim such a right to veto over judgments issued from Strasbourg? In 2014, after Russia’s military actions against Ukraine, the voting rights of the Russian delegation in the PACE (Parliamentary Assembly of the CoE) were suspended. Russia has protested this and even pointed out that without the participation of Russian parliamentarians the legitimacy of judges elected to the ECtHR would suffer. In protest, for more than a year now, Russia has not paid its membership fees at the CoE. This has put the Strasbourg system under considerable financial pressure. A solution to this situation is urgently needed as the current circumstances are not sustainable, however, when the PACE met in October this year, no agreement was met. This is potentially the biggest decision that the PACE will have had to make since the mid-1990s. The dilemma is this: if the PACE would too obviously give in to Russian political demands, its legitimacy would suffer in the long run. It would silently agree to a system in which some member states have more rights than others. It would also encourage member states to invent exceptions for themselves. On the other hand, if Russia is given a pretext to end its membership of the CoE rules, this would determine that the country needs to be expelled from the CoE and the Russian population would lose access to an institution that has become its last protector in human rights matters. What our academic project did was to take stock of Russia’s achievements and failures in the ECtHR over the last twenty years. The picture is not entirely black or white. The Strasbourg effect on Russia has been mixed and twofold: reforms in certain areas and resistance to the liberal concept of human rights in others. The study is valuable in the context of understanding socialization effects of human rights treaties and mechanisms. Socialization based on human rights is never a one-way street; Russia has influenced the Strasbourg system too. Altogether, some socialization theories of earlier scholarship have proven too optimistic in the context of human rights and need realist revisions in the light of the Russian case. 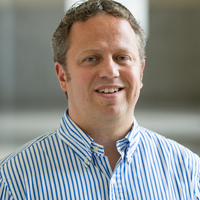 Lauri Mälksoo is Professor of International Law at the University of Tartu in Estonia and the co-editor and co-author of Russia and the Russia and the European Court of Human Rights: The Strasbourg Effect. 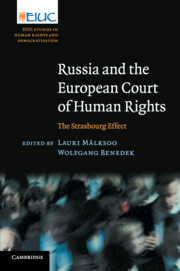 You can access the Introductory Chapter of Russia and the European Court of Human Rights: The Strasbourg Effect for free here until the 23rd December 2018.